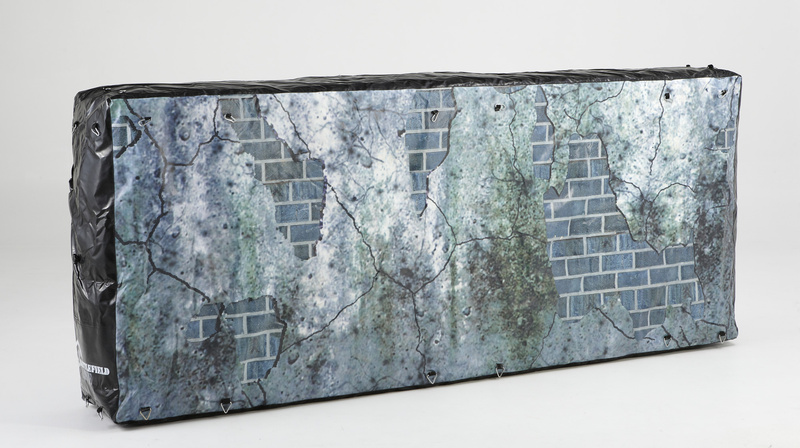 The Battlefield Inflatable Long Low Wall is great, especially for creating the interesting twists and turns in mazes. Low walls are best for creating depth in the battlefield. Many real-life barricades are low walls so it is an ideal emplacement behind which to position your troops. This gaming inflatables is as long as a high wall, but just 1.2m high. So it is perfect for a garden wall or traffic barrier. These inflatables are able to be used either indoors or outdoors. In fact you can set up your urban battlefield in a tennis court or basketball court.